Tech. Sgt. 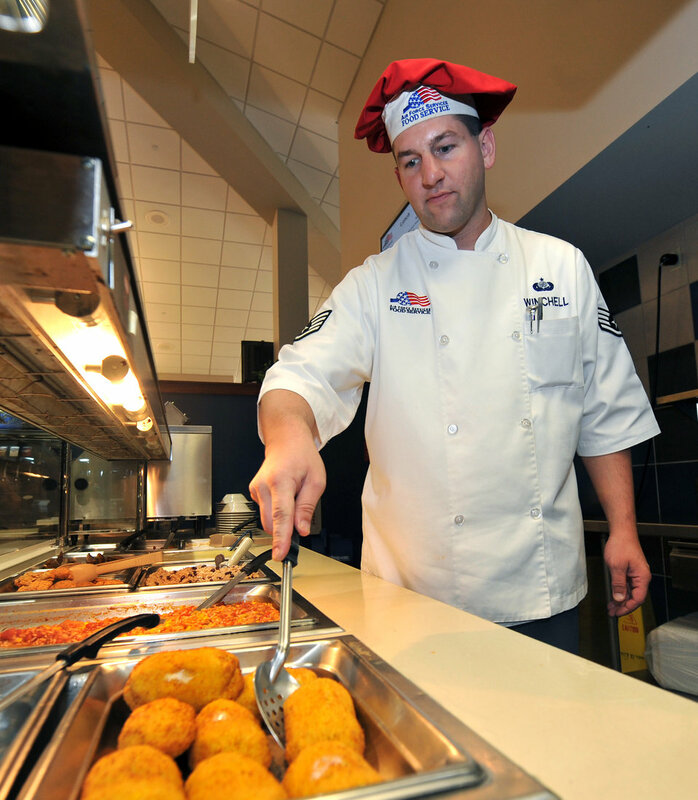 David Winchell, a 19th Force Support Squadron dining facility shift leader, serves chicken cordon bleu Aug. 26, 2011, to Airmen at Little Rock Air Force Base, Ark. FTI continues to provide revamped menus, dining facility renovations and increased operating hours to FTI pilot installations.